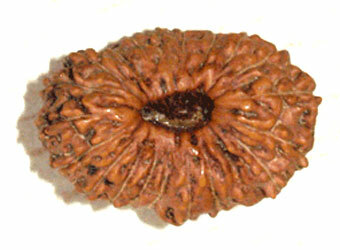 This rare Rudraksha is represented by Kuber. The wearer is blessed with immense prosperity and fulfillment of pleasures and materialistic desires. Removes all kind of diseases. Even if a poor person wears it, he becomes rich. Gives the wearer immense protection from any kind of tantra and malefics. Kuber is the guardian of wealth Without His consent, even Mahalaxmi cannot give wealth. 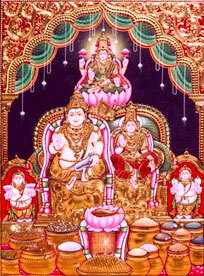 Lord Shiva has blessed Lord Kuber. He is the Cheif of the Ganas and the Leader of Yaksha. The wearer never has lack of anything in life. He is the guardian of North direction.